Eat more vegetables. I know I’m preaching to the choir here. But even for real vegetable lovers, eating the same vegetables over and over can get monotonous. Fortunately there are tools on the market that can help put fun vegetables on your plate. One of these tools is the spiralizer. Spriralized (is that a word?) vegetables are the “in” thing. 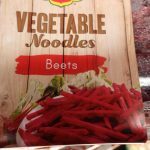 The theory is that these noodle-like vegetables can be add variety meal and can replace higher-calorie pasta in recipes. Listening to the ads on television and watching some YouTube videos on spiralizing they make it seem easy-to-do. I’ve tried a couple different types of models–including hand-held, hand-crank and electric. I have to admit that I’ve had limited success making my own spiralized vegetables. I think some of this depends upon the type of spiralizer. Prices range from as low as $12 and as high as $300 for restaurant quality. In my opinion, it’s difficult to get good results with the hand-held (hear: less expensive) spiralizers. There is also more of a chance of cutting yourself (note from personal experience). I got fairly good zucchini and yellow squash noodles. Admittedly, my carrots looked more like shreds. There are some table-top spiralizers and others that attach to counter-top mixers. These seem to have better results with heavier vegetables such as sweet potatoes, winter squash, jicama, carrots and rutabagas. Some have different sized and style blades so you can get strips, ribbons, spaghetti, fettuccini along with noodles. The shape and density of the vegetable has a lot to do with successful spiralizing. 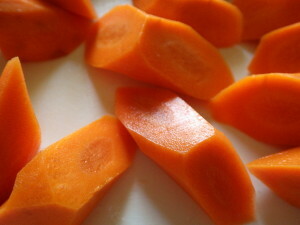 The longer and more uniform the shape of the vegetable the better results. Because of their shape, not all vegetables turn into great noodles. Bell peppers, onions and cabbage can be cut with a spiralizer, but you might end up with slices and shreds, just due to the layers naturally in the vegetable. 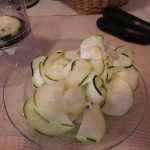 Cucumbers are usually not as firm as other veggies and need a little more skill–but with the electric sprializer I got beautiful cucumber ribbons. 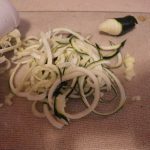 If you don’t own a spiralizer (or your skills are similar to mine) look for already made veggie noodles in the fresh produce section or the frozen vegetable aisle of your grocery store. 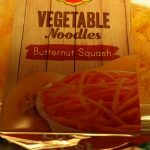 Veggie noodles are becoming more popular and easier to find. I found beets, butternut squash and zucchini “noodles” cleaned, cut and ready-to-go….easy peasy. 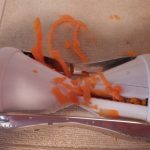 If you try spiralizing, I hope you have better success than I did. But no worries—this is one of those times that you can eat your mistakes. All vegetables count! Don’t you just love the internet? All of these “tales” can cause us to worry about everything! According to Snopes, this one has been going around since 2008 and there isn’t any scientific proof to support this statement. 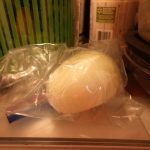 Nothing mysterious happens to onions once they are in the refrigerator. Like all fruits and vegetables, once cut, onions should be kept in the refrigerator (National Center for Home Food Preservation and National Onion Association). I’ll refer you to another article I wrote about Keeping Fruits and Vegetables Safe. Once a fruit or vegetable has been cut, the barrier to the outside world has been broken and the plant’s natural defenses have been compromised. This opens the food up to the environment. Plus, the moisture and natural sugars in fruits and vegetables help create a great place for bacteria to grow. Refrigerator temperatures, on the other hand, can help slow this development of bacteria. 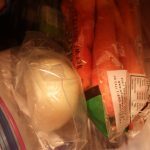 The biggest problem with onions in the refrigerator is the odor. Be sure to wrap well or keep in a sealed container. But don’t store your uncut onions in the refrigerator. Whole unpeeled onions should be kept in a cool, dry, well ventilated place. Don’t store them in a plastic bag. Sweet onions tend to have higher water content and are more susceptible to bruising and will have a shorter shelf life than yellow onions. Once peeled or cut, onions should be stored (well wrapped or covered) in the refrigerator at 41 degrees or below. A peeled or cut onion will be of good quality for 7 in the refrigerator. If you have a few too many chopped onions they can be frozen. I have frozen leftover chopped onions (without blanching) for a short time, they are not crisp when thawed, but work great for cooking. Be sure to wrap well. Use within 3-6 months for best quality. 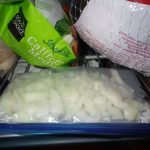 For longer freezer storage, The National Center for Home Food Preservation (nchfp.uga.edu) recommends they be blanched and cooled before freezing. One final tip: according to the National Onion Association (www.onion-usa.org) it’s the sulfuric compounds in the onions that cause us to cry when cutting onions. To help reduce this,they recommend chilling the onion before cutting and cutting into the root end of the onion last. You can make all of the healthful dishes in the world, but if your kids don’t want to eat them, it feels like you are spinning your wheels. 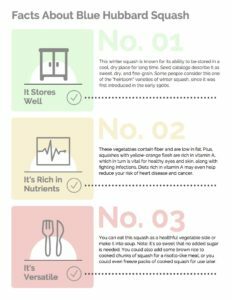 As the Chef and Founder of Food & Health Communications, Inc., I am keenly aware of what foods my son and I need to eat for optimal health. I also know that this is easier said than done, even for me as a chef because it is hard to find the time. 1) We started a simple, inexpensive herb garden. Nicholas and I spent quality time together learning about herbs, buying them, growing them, harvesting them, and using them in our cooking. During the evenings and on weekends, we would stop and look at the garden, pick some herbs, or care for them. Before bed, I would read him a funny cooking book called Warthogs in the Kitchen. Herbs are amazing because they have a wonderful smell. Mint was like his gum; rosemary is like a tree; basil smells like pizza sauce; thyme is a little like the woods. I used the herbs as a way to get Nicholas to try new foods, and I was met with instant success. We made herb-flavored vinegars that could be used on salad, which prompted him to start eating salads. I also used the herbs in new and healthful dishes like beans and rice, taco salad, tortilla pizzas, stews, etc. When herbs from our garden were in play, Nicholas would usually try the new food that featured them. He didn’t like every dish, but I?never gave up on getting him to try healthful foods. 2) We started doing more physical activities together. I noticed that whenever Nicholas’s activity level increased, so did his appetite! Instead of watching TV after dinner, we went for a bike ride or a walk with the dogs. Whenever I ran, he would ride beside me on his bike. When I swam, he joined me for the last few laps. He even did a triathlon and won first place! 3) Healthful food was always available. I kept 3 or 4 different types of fruit ready to eat in the refrigerator at all times. Salad was always cut and ready, along with potatoes, frozen vegetables, and baby carrots. And fruit was served in the most creative desserts. 5) Food and meals were always pleasant. I didn’t force him to eat anything he didn’t like nor did I punish him for not eating a particular food. I offered a wide variety of healthful foods and he chose what he wanted to eat. I did not keep a whole pantry full of chips, crackers, cookies, and sweetened cereals, either. When we wanted to eat cookies, we make them from scratch. I did buy cookies or crackers as an occasional treat. That way, we established that those foods weren’t forbidden — they just weren’t mainstays. I always make a big deal about dinner – it takes little effort to set a beautiful table with placemats, cloth napkins, nice water goblets and bone china or any neat china. We have a candle that is battery operated and it comes on every night! 6) Let’s cook! He helped me with meal preparation on most days. This is not always easy when you are tired or in a hurry, but it does make a difference. Here is our special chocolate chip cookie recipe along with age-appropriate kids tasks. 7) Backups count, too. The after school babysitter had a menu and recipes so that she could prepare healthful snacks and meals. Our babysitter really loved the cooking lessons and she just wrote that she is getting married and she is so happy she can make so many good things!! 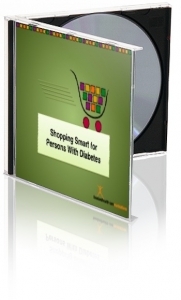 8) Shopping is a fun activity. We grocery shopped together and visited farmers’ markets, too. The focus was what to put on our list and we always stuck to it in the store. 9) Dine fancy. I took him to fancy restaurants and let him choose whatever he wanted. This is a situation that really promotes the opportunity to try new things because it is their choice. He picked the most adventurous things like stuffed zucchini blossoms when we were dining in Greens, the famous vegetarian restaurant in San Francisco! It makes the child feel special when you take them to a nice place to eat. When he was young we dressed up and I would talk about how he was expected to act. It wasn’t always perfect in the beginning but now he is a perfect gentleman. 10) Grow more. He planted a vegetable garden when he got older. 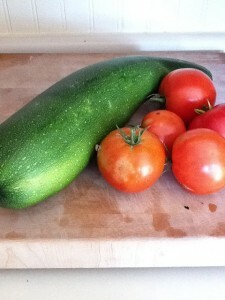 The items to plant were his choice and he was so proud of his tomatoes, potatoes and huge zucchini. 11) Teach them to cook. He learned a whole repertoire of items he can prepare that included: cookies, salad, pizza, macaroni, bean quesadillas, salsa, pasta and much more. I bought kitchen equipment like quesadilla makers, bread machines and waffle makers that help him succeed. His favorite dish right now is a vegetarian pannini. 12) Chef’s table. He created a chef’s table in his room for my birthday and he planned the menu and cooked! 13) Summer camps can enrich knowledge. His last summer camp was at Stanford for 2 weeks where he and his classmates at Stanford’s OHS worked on a multi-disciplinary topic, “The Problem of Food.” They were required to read “An Omnivore’s Dilemma”, plan menus, visit farms, calculate kitchen math and cook for an audience. Other summer camps have taught him to program iPhone Apps and he is the programmer for Salad Secrets and Holiday Secrets, two of the food apps we made together. The important thing is to find one that a child will love. 14) His list, too. Now he helps me with the meal planning and grocery list. We have a list that stays on the refrigerator and whenever he requests an ingredient, he puts it on the list and I buy it! Usually his requests include black beans, tortillas, salsa and bottled waters, because he is still riding his bike to the pool and swimming! 15) Have fun and don’t worry. When he was a toddler he would eat watermelon for 3 days in a row. I likened that to reading the same book over and over. And once, when I was practicing for the ProChef II test, he discovered chocolate eclairs and wanted them for breakfast, lunch and dinner. He even put them in his lunch box. That was the only time I made them and it a good memory. As you can see, the possibilities for kids and food are endless. It usually only takes 10 more minutes each day to make something special for dinner together and the memories are priceless. If you have questions, please click “Contact Us” from the link below. 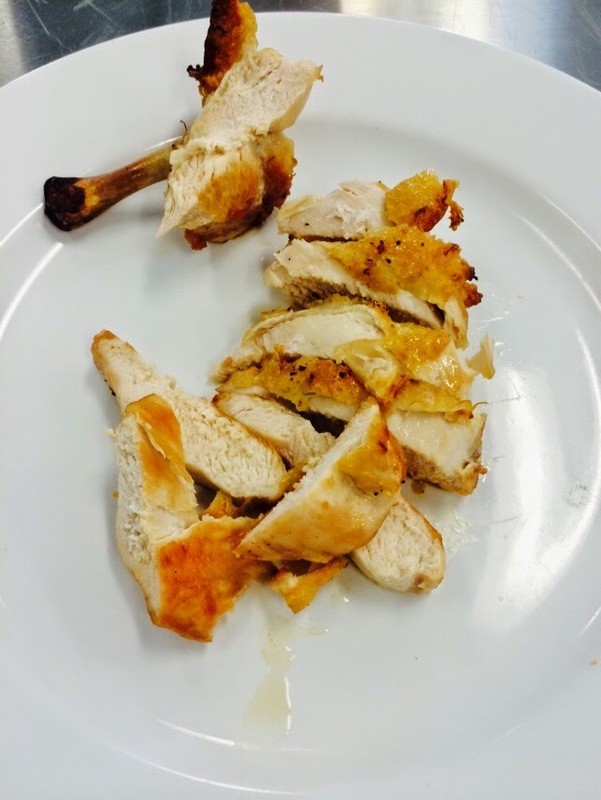 Judy is a graduate from the Culinary Institute of America and the Fachschule Richmont in Luzern, Switzerland. She spent over 20 years in foodservice. She was the executive pastry chef for the Grand Hyatt Westshore in Tampa, FL and The Hyatt on Gainey Ranch in Scottsdale, AZ. She has received the ACF Chef of the Year, ACF Bronze Medal and ACF Gold Medal. She holds the ProChef II Credential from the Culinary Institute of America. 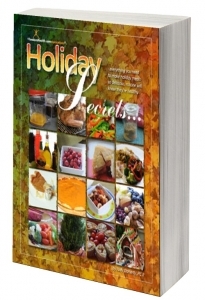 She has authored 12 books including Salad Secrets, Holiday Secrets, No Battles Better Eating, Cooking Demo Ideas and a new one coming up called the Art of the Lowcal Dessert. Her work has appeared in Chocolatier Magazine, Bon Appetit and Great Chefs of the West. How are you doing with making small changes to your eating pattern that can make a difference in your health? One of the ideas in my New Year’s resolution article was to “eat more oatmeal.” Did you try it? How are you doing? The concept behind that little goal is to have oatmeal instead of processed cereal. There are several things going on here: saving money by not buying expensive boxes of cereal, knowing exactly what you’re adding to the cereal, and knowing that oatmeal is good for you. How good? Well, oatmeal is naturally low in fat and sodium and high in fiber. It’s also a good source of iron and provides protein, B vitamins, and other minerals. Oatmeal is an excellent source of whole grains too. Eating oats may even help protect against high blood cholesterol, diabetes, high blood pressure, and obesity. There used to only be a couple different types of oatmeal available, but now the choices are many. All this variety can get a little confusing, so let me clear some things up. All types of oatmeal start with oat groats, which are oat grains without the hulls. Choose your oatmeal based on the time you have to prepare it, the texture you prefer, and any added ingredients you may or may not want. Scotch or Irish oats have been cut but not rolled. They have a hearty texture with a nutty flavor. 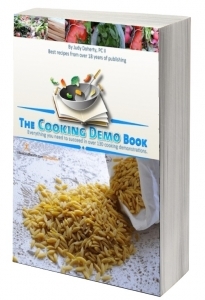 The traditional version can take up to 30 minutes to cook, though there are quicker-cooking options. Steel-cut oats are whole oat groats that have been sliced into pieces. These cook in about 20 minutes with a chewy, coarse texture. Rolled or old-fashioned oats are whole oat groats that are steamed and rolled to flatten them; they cook in about five to ten minutes. 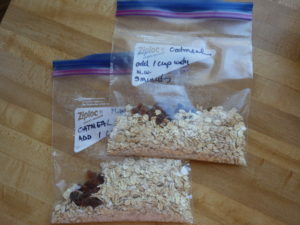 Quick oats are rolled oats that have been cut into even smaller pieces. These cook in about one to five minutes. Instant oats are whole oat groats that are rolled thinner and cut finer than the others. 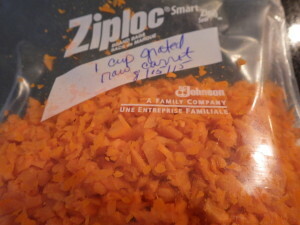 Since they’re also pre-cooked, you can just add boiling water or heat them in the microwave for about 90 seconds. According the USDA Nutrient Database, all plain oatmeal types are about the same when it comes to nutrients. One cup of cooked (with water and no salt) old-fashioned or quick oats has 166 calories, 3.5 grams of fat, no sodium, 4 grams of dietary fiber, and less than a gram of sugar. Watch out for instant oatmeal packets, since most of them have added flavors which usually add calories, sodium, and sugars. 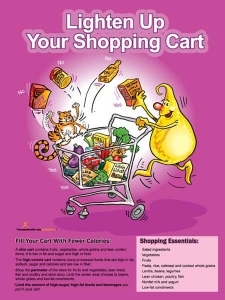 To steer clear of these, keep an eye on the ingredients list and Nutrition Facts label. You can make oatmeal in the microwave as quickly as you can pour a bowl of cereal and milk. Place all ingredients in a large glass or ceramic bowl. Microwave on high for 3 minutes. The big key here is to make sure you have a large bowl, so that it won’t overflow! I like to make it in a 1 quart measuring cup and then just eat out of the cup. Voilà! Only one dish to clean. Add your own skim milk, fruit, nuts, raisins, dried cranberries, and spices to the cooked oatmeal — you are in control. To save even more time in the morning, make your own little “instant oatmeal” packs, adding spices or dried fruits. That way, all you’ll need to do in the morning is add water, microwave, and eat! And what if you don’t think that you have time to make oatmeal every day? 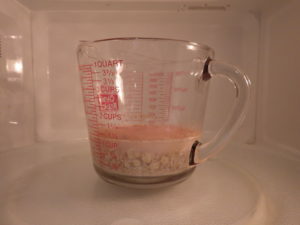 My solution is to make a large batch of oatmeal over the weekend and reheat single servings quickly in the microwave. That way, you’ll have a speedy meal without losing any of its nutritional benefits. 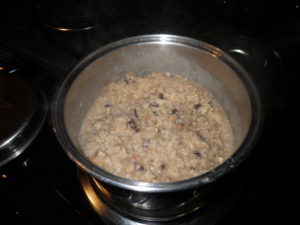 Cooked oatmeal will keep in the refrigerator for up to a week and makes a quick and healthful breakfast. 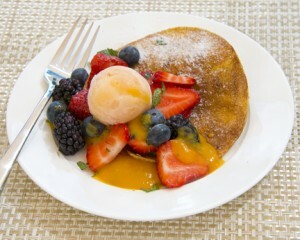 Here are a few of the other top breakfast resources, just for you! Erasable School Breakfast Tray Menu Poster 18"X24"
Quick Quiz: What food is blue/grey and bumpy on the outside, bright orange in the middle, and full of vitamin A? On a recent visit to a local farmers’ market, I found this item in an outside bin with lots of others of various sizes. It was on sale for half its regular price and it seemed that there weren’t many people buying whatever it was. I carried one around while I was shopping and several people asked me what it was. Others asked if it was blue on the inside and what was I planning on doing with it. 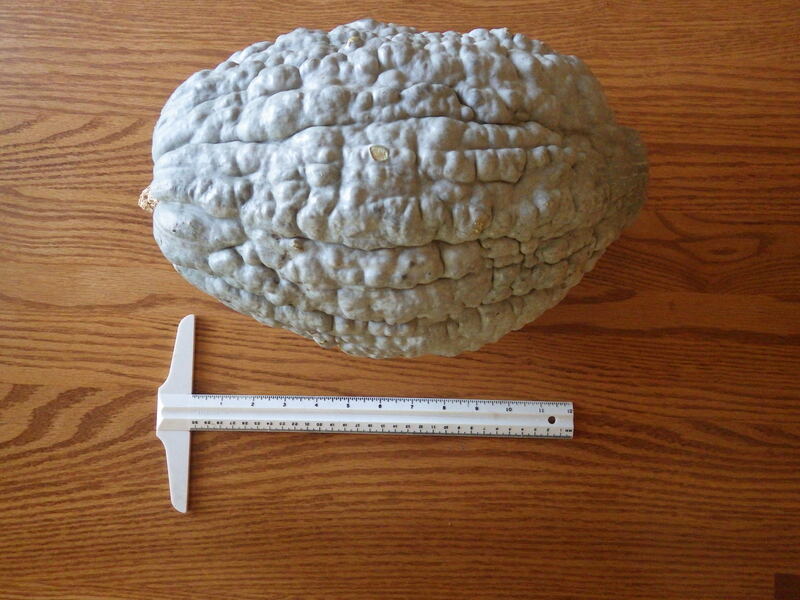 Quiz Answer: This mystery veggie is a Blue Hubbard Squash! It turned out that my mystery gourd was a Blue Hubbard Squash. However, when I asked the clerk what people do with it and how to cook it, she said she didn’t know. Always inquisitive about food, I bought it. (Fortunately it was sold by the piece and not by the pound because the one I picked up weighed 13 pounds)! When I got home, the squash remained a curiosity. My husband had fun asking about the “monster Smurf gourd,” while visiting neighbors were quick to google it. This veggie was definitely a conversation starter! So now let’s talk about the Blue Hubbard Squash. 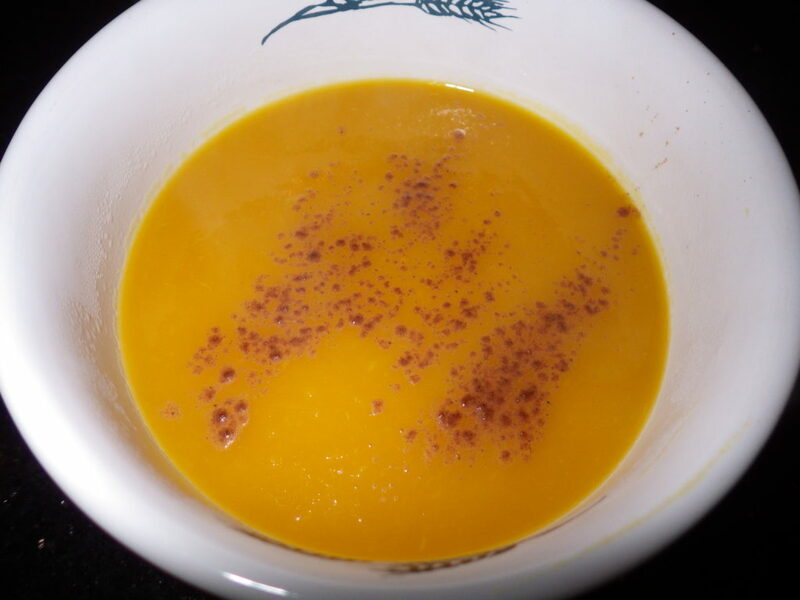 This winter squash is known for its ability to be stored in a cool, dry place for long time. Seed catalogs describe it as sweet, dry, and fine-grain. Some people consider this one of the “heirloom” varieties of winter squash, since it was first introduced in the early 1900s. I admit that the hardest part was cutting into the hard outer shell of the squash. I “cheated” a little by washing it completely on the outside and putting it whole in the microwave for 10 minutes. This softened the outside enough to allow me to cut into it. After cutting it in half and cleaning out the seeds and strings, I experimented by baking part of it in the oven and then putting another part in the microwave. Both were equally good, though baking allowed for more caramelization of the natural sugars in the squash. Hubbard is just one of many winter squash varieties that are readily available now. These vegetables contain fiber and are low in fat. Plus, squash with yellow-orange flesh are rich in vitamin A, which in turn is vital for healthy eyes, skin, and fighting infections. 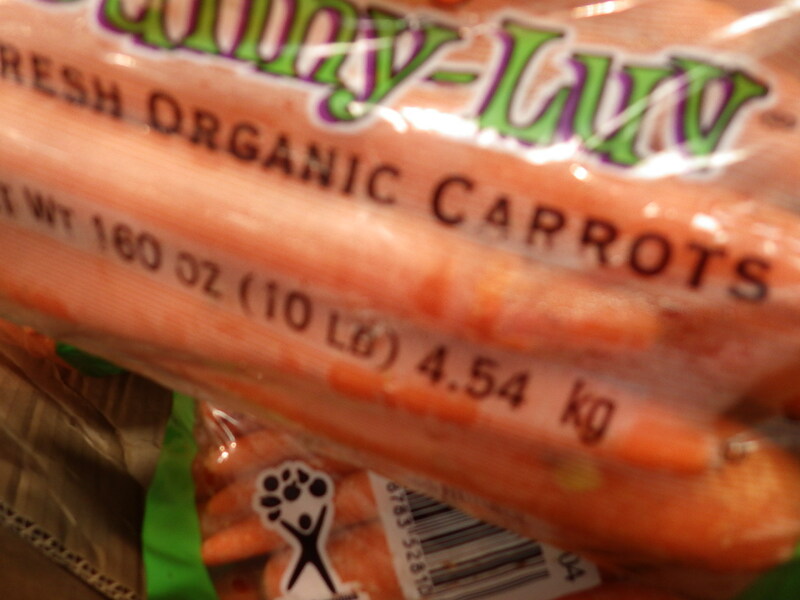 Diets rich in vitamin A may even help reduce your risk of heart disease and cancer. Winter squash are also a good source of vitamin C. These squash get their name from their ability to last through the winter in a cool dry place (not the refrigerator). Other varieties of winter squash include banana, delicata, turban, butternut, spaghetti, and acorn. We’ve gotten several meals from this huge Blue Hubbard. At first we just ate it as a vegetable on the side. Then I made some into a soup with apples (it was so sweet, no added sugar was needed). Finally, I added some to brown rice for a risotto-like meal and also put three packs of cooked squash into the freezer for use later. Don’t want to bother with the cutting and cleaning? Many companies are now doing the work for you by selling raw winter squash already cut and ready-to-use. 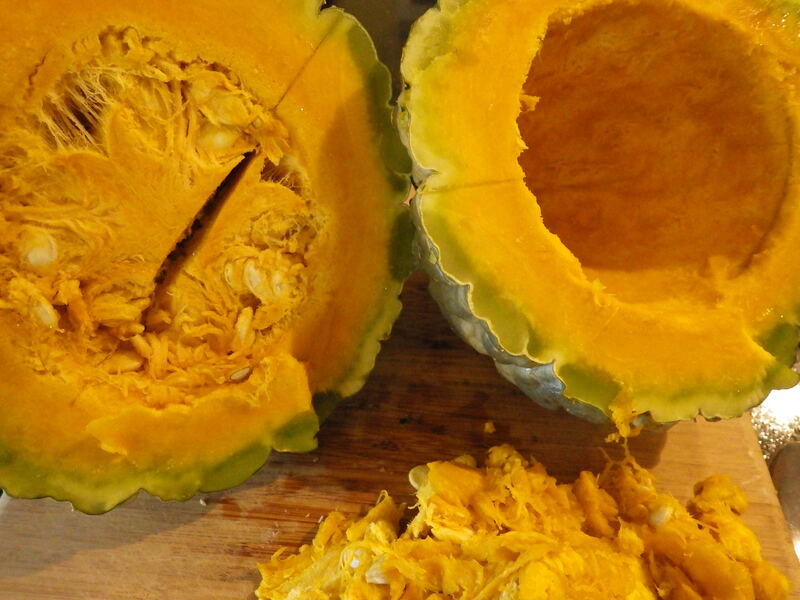 Here’s a food safety tip: once cut, the squash they should be kept refrigerated and used within a week. Technically — or should I say botanically — squash are fruits, since the fruit is the part of the plant that develops from the flower and contains seeds. But we usually consider squash a vegetable because it’s more savory in flavor. Finding a new (or old in this case) variety of squash can increase interest and perhaps add a few more items onto that list of foods you like. 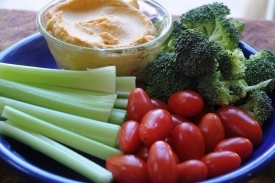 How will you incorporate new fruits and vegetables into your eating pattern? 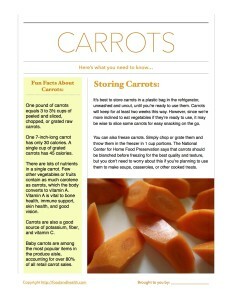 As a bonus, here’s a free handout that features fun facts about the Blue Hubbard Squash! DON’T WASH IT! If you’re thinking that rinsing or washing the turkey will remove any potential bacteria —don’t bother — it won’t work. According to the folks at the USDA’s Meat and Poultry Hotline, the process of washing or rinsing a turkey will not remove any bacteria that may be on it and it won’t make it safer. It’s virtually impossible to wash bacteria off the bird. The concern with washing poultry (not just a big turkey, but all poultry) is splashing bacteria and cross contamination. The water used to rinse the turkey adds to the amount of liquid that could be contaminated with bacteria. It can splash around the sink, countertop, onto other dishes, faucets or you, the cook. The chances are high that some of the foods in the “splash zone” won’t be cooked. This could make you or your holiday guests very sick and all of this arises from doing something that you thought was a good thing. What you really need to do is wash your hands before and after handling your turkey and its packaging. This can go a long way towards avoiding spreading harmful bacteria. If your raw turkey or its juices come in contact with kitchen surfaces, wash the countertops and sinks with hot, soapy water. If you want to make sure everything is bacteria free, you can sanitize the area by using a solution of 1 tablespoon of unscented, liquid chlorine bleach per gallon of water. Be sure to let those areas dry thoroughly. WHAT ABOUT PINK TURKEY MEAT? You can’t use color as a guide to determine whether your turkey is cooked or not. Turkey meat can remain pink even when it is at the safe minimum internal temperature of 165 degrees F. Note that smoked turkey meat is always pink. The difference in colors between the “white meat,” “dark meat,” and even “pink meat” is due to the amount of oxygen-storing myoglobin in the meat muscle. Muscles that are used more — like the leg muscles — need more oxygen and can store more, so they have more myoglobin and thus darker meat. DON’T GUESS. CHECK THE TEMP! The only way that you can be absolutely sure the turkey is completely cooked is to use a thermometer. The minimum temperature a turkey should be cooked is 165 degrees F. Check the internal temperature at several locations, including the thigh and the thickest part of the breast. Pop-up timers may pop too early because of fat pooling at the tip; always use another thermometer to double check. While 165 degrees F is the minimum safe temperature for destroying bacteria, the National Turkey Federation recommends cooking turkey to a higher temperature. They say that people will like the quality more and the turkey itself will be easier to carve and slice if it’s cooked to a higher temperature. They frequently suggest 180 degrees. Anyway, I hope these tips help make your Thanksgiving celebration even greater! Here’s a handout with these tips! It’s perfect for a display, presentation, or email blast! It’s time for a little venting session. The Family Reunion: For a recent gathering, my cousin made his favorite baked beans recipe. It included sausage, hamburger and hot peppers, and he prepared it the day before and put it in the refrigerator. The day of the reunion, at about 1 p.m. he brought a small slow cooker, overflowing (at the point that the lid didn’t even close) with these cold baked beans and turned it on. We were going to eat at about 3 p.m! First off, leftovers shouldn’t be re-heated in a slow cooker. Second, this was way too full. To make things a bit safer, I took action. When everyone else was outside, I took the baked beans out of the slow cooker and heated them on the stove to 165 degrees F. After that, I washed out the slow cooler and then put the beans back in on low. 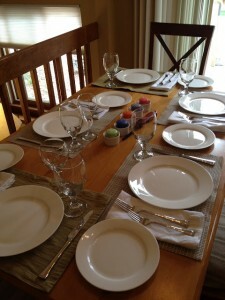 Last Thanksgiving: For our celebration last year, we went to a friends’ home with my mother for the holiday weekend. The plan was for them to get the turkey, then I would cook it. Unfortunately, we arrived Wednesday evening to find the frozen bird in a cooler. Yikes! Could I save the turkey? My first thought was about the temperature, so I put a thermometer into the cooler. Luckily, my friend had added some ice packs. The temperature was below 40 degrees F, and the turkey was still mostly frozen. I put it into the refrigerator ASAP and no, we didn’t have to cancel Thanksgiving. Maybe I should have been more forceful with the rest of the family. After all my mother was there. She and our friend are both over 80 years old and more susceptible to foodborne illness. The last thing they need is to get sick. Well, look at the consequences. Diarrhea or barfing all night would definitely spoil a holiday. I’ve heard other food safety educators talk about this topic. Some don’t eat at their mother-in-law’s. Others won’t go to pot luck dinners. Many of their spouses also know that “I-wouldn’t-eat-that-if-I-were-you” look. I just wanted to share with other educators… it’s not just you! I’m not sure that I have any good advice on this topic. I guess we just have to keep trying to be good role models and do the best we can to educate, even educating those that are the closest to us. 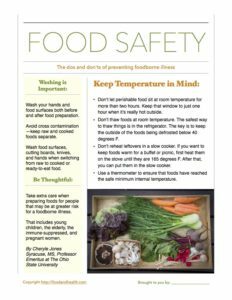 To help you teach about food safety, I’ve also made a new printable food safety handout with lots of tips and “dos and don’ts.” I hope you like it! Thanksgiving is tomorrow! Are you ready for it? 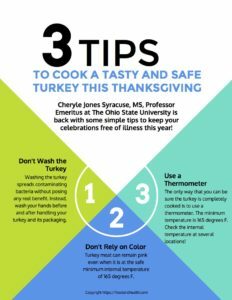 Here’s a fun post from Cheryle Jones Syracuse that will remind your clients about food safety for leftovers, helping them keep their holiday celebrations safe and festive. 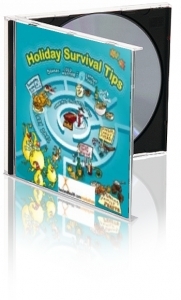 Don’t miss the free quiz handout! It takes hours — days if you count the shopping, planning, and chopping — to cook a Thanksgiving dinner. Then it usually takes less than one hour for the bountiful holiday meal to be eaten. So, what’s left to do? The guests are watching football and it’s time to clean up (already?). This isn’t the time to forget about food safety. While overindulging can cause an upset stomach, so can eating food that was improperly handled or stored. Don’t get careless with those leftovers! 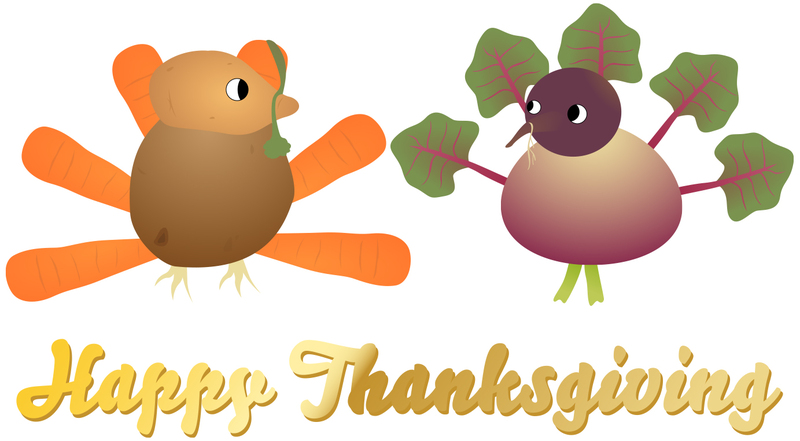 Here’s a quick quiz to use with your students or clients that can help reinforce some basic Thanksgiving (and year round) leftover practices. TRUE or FALSE. Since it cooked for a long time, and you checked the temperature when it was done, and the refrigerator is so full, it’s okay to leave the turkey (and all the other goodies) to sit out for hours after the meal so that people can pick at it and make sandwiches. TRUE or FALSE. Food should be allowed to cool before you put it in the refrigerator. TRUE or FALSE. 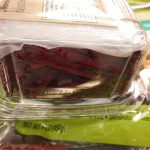 Leftover packs for guests should be refrigerated as soon as possible. TRUE or FALSE. Leftovers will keep for a week after Thanksgiving. TRUE or FALSE. A quick “zap” in the microwave is good enough to warm up your leftovers. FALSE. Just because it’s a holiday and your refrigerator is full does not mean that the “two-hour rule” isn’t in effect. Food should not be allowed to sit at room temperature for more than two hours. Two hours is enough time for bacteria to multiply to the quantity that could cause foodborne illnesses. This is cumulative too. If you leave the leftovers on the dining room table for one hour, then later leave them out on the counter for 30 minutes to make sandwiches, you will only have a half-hour window left. FALSE. See above for the “two hour rule.” If you have a large amount of hot food, then it’s best to divide it into smaller portions and put them in the refrigerator as soon as possible. Or, better yet, cool the food by putting it in an ice bath or cold water bath before putting it into the refrigerator. On the same note, don’t store the stuffing inside the turkey. TRUE. It’s wonderful that you’re sharing the leftovers with your guests, but make sure that this food is safe too. Think about the two-hour rule. If they won’t be leaving for several hours, make sure this food is refrigerated. If they’re traveling for more than two hours, make sure that they have a cooler or way to keep the food cold for the trip. FALSE Leftovers should be eaten within 3 to 4 days. Keep them in the coldest part of your refrigerator (not the garage or the back porch). If you have more leftovers than can be eaten within the recommended leftover time (Monday), then you can freeze them. Frozen turkey, plain, will keep for 4 months at 0 degrees F or below. Turkey covered with broth or gravy will keep for 6 months at the same temperature. Stuffing and gravy will only be good for about a month. These foods will be safe for a longer time, but may become dry, lose flavor, or drop in quality. This goes for that turkey carcass too! If you don’t have time to make soup out of it right away, wrap it carefully and freeze it. Then it will be there to make soup when you have more time. FALSE Reheat leftovers thoroughly. Merely warming leftover gravy, sauces, and soups will not get them hot enough to kill bacteria. These foods should be simmered or boiled until they’re steamy hot throughout. If you’re using a microwave, cover your food while cooking and then allow standing time for a few minutes so that the temperatures inside can even out. Leftovers should reach at least 165 degrees F.
And there you have it! 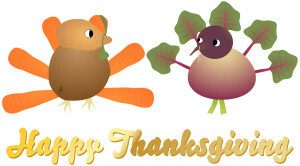 A quick quiz to help your clients celebrate Thanksgiving safely and happily, leftovers and all. Here’s an easy-to-print PDF copy of the quiz! Enjoy! 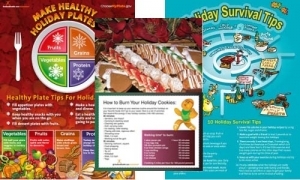 There are tons of holiday resources in the Nutrition Education Store — which will you try first?